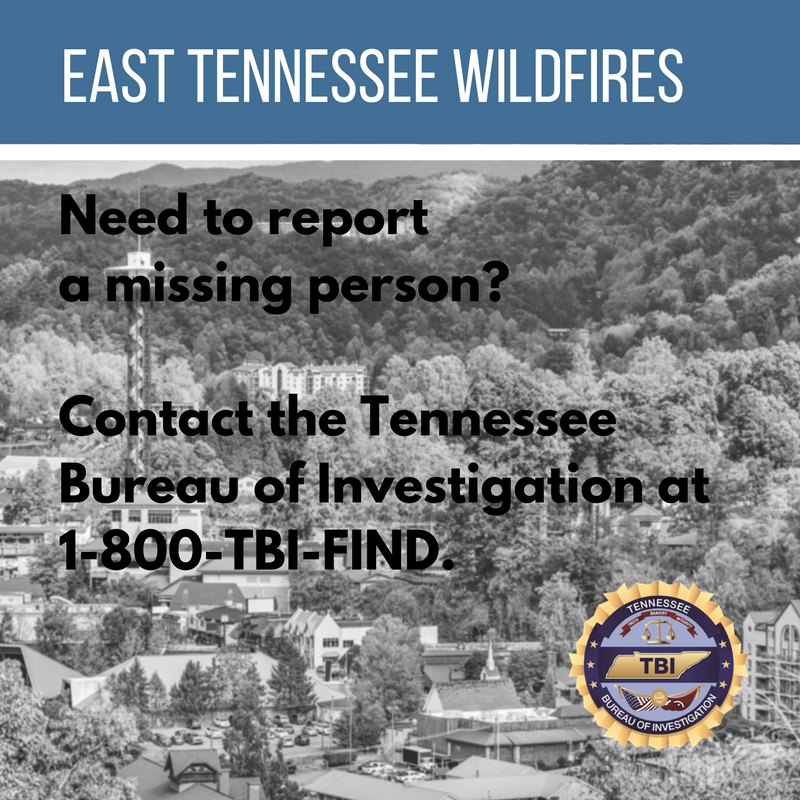 NASHVILLE – The Tennessee Bureau of Investigation has established a hotline to coordinate reports of missing persons in the areas affected by the recent wildfires in East Tennessee. Those wishing to report missing individuals believed to be in the affected areas of Gatlinburg, Pigeon Forge, and Wears Valley may contact 1-800-TBI-FIND. Callers should be prepared to relay as much identifying information as possible, including names, phone numbers, vehicle identification, and last known whereabouts. Recognizing the importance of accounting for individuals who may be missing, the TBI urges the public to refrain from calling to inquire about the status of personal properties in the affected areas.